So Linguini Fini has long been my favorite place in town, however, in the past few months I have been negligent of my old friend. Last night HOFWs was there for #HKFashionBlogger Style Summit. And wow did I miss this place! As soon as we walk in my man Wahid comes up and says, 'Where you been!?' We proceeded to catch up and it felt like going home. This party was wonderful too! 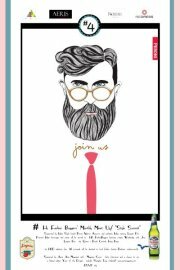 Fashion bloggers, teachers, wine importers (me! 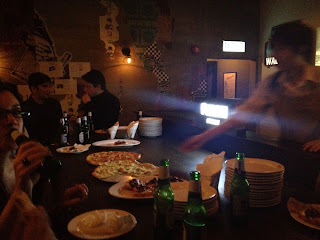 ), jewelry gallery owners, bankers, and the social media elite were all there for Peroni and pizza. Oh and a cause! 100% of the $50 everyone paid went to the Red Dress NGA.